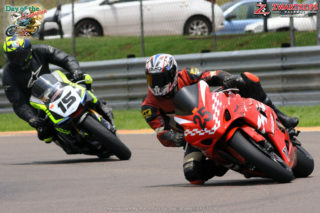 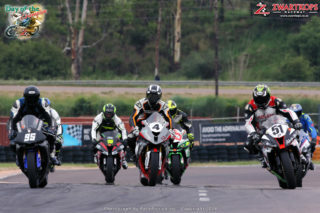 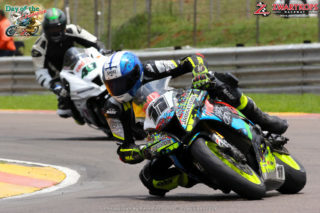 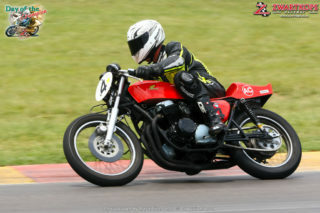 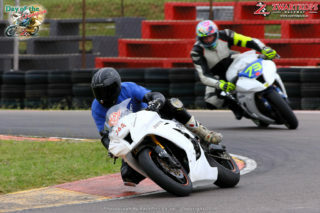 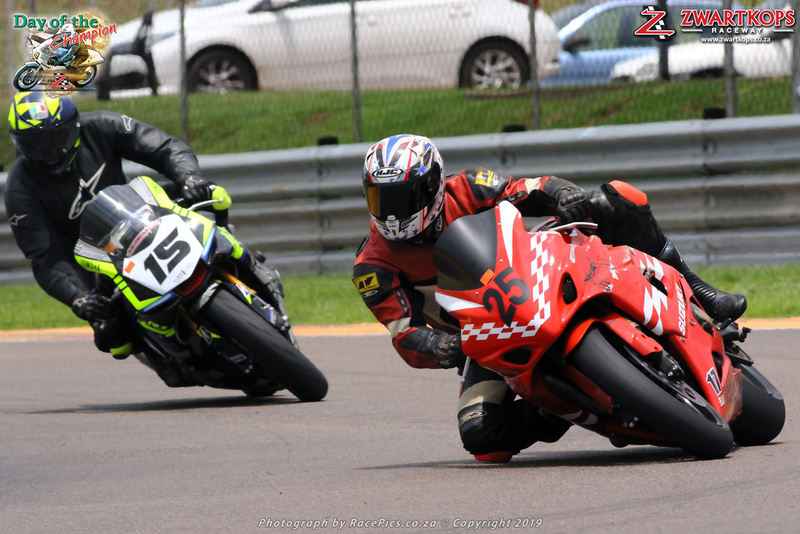 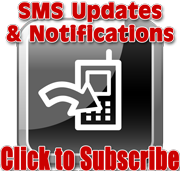 The Day of the Champions motorcycle events at the Zwartkops Raceway near Pretoria last Sunday produced some excellent racing. More importantly, it produced a dynamic day of two-wheeler activity, involving a number of champions, past, present and future. 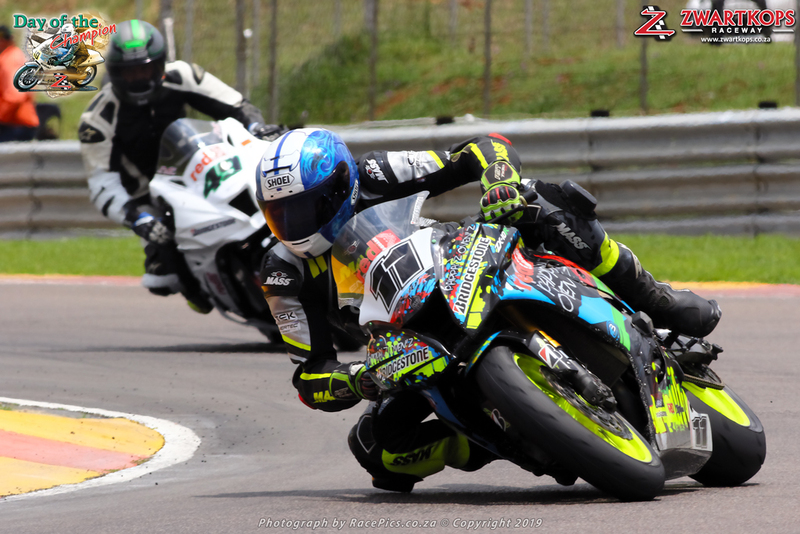 On the main circuit, veteran Graeme van Breda took overall victory in the Red Square Kawasaki Masters events on his Stefanutti Stocks ZX10, ahead of Jonty Collard (Ctek ZX10), Michael Smit (Kawasaki ZX10), Jaco Gous (Kawasaki ZX10) and Apanna Ganapathy (ART ZX10). 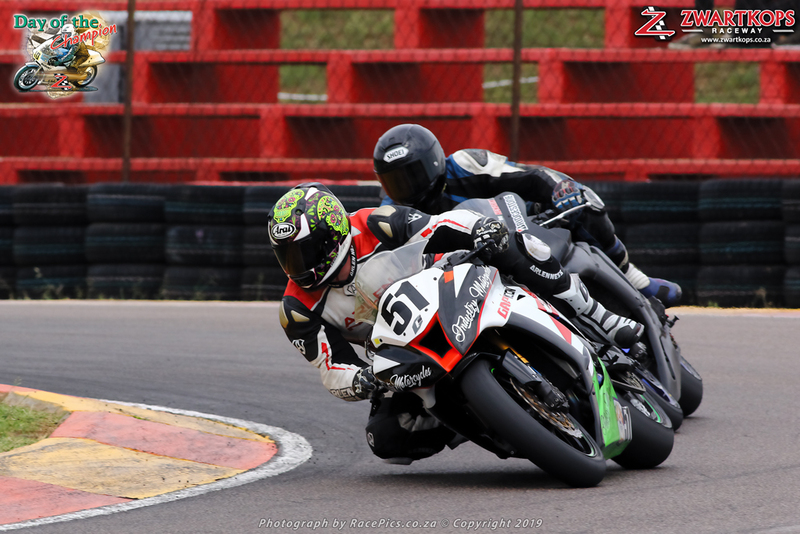 Shaun Vermaak (Industry Motorcycles Kawasaki) won the Bridgestone Superbike events from Hein McMahon (BDJ Freight BMW 1000 RR), Hendrik de Bruin (Keto Nutrition Yamaha R1), Damion Purificati (Amalgum Welding BMW 1000 RR), Harry Timmerman (APCC BMW 1000R) and Wayne Spicer (Wellness Group Kawasaki ZX10). 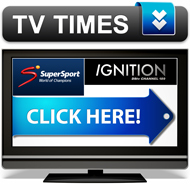 The Bridgestone Challenge category went to Greg Waddington (Ushaka Trading Yamaha R1), ahead of Teegan O’Donnall (Kickstart Bikes Suzuki GSXR1000), Ian Thomas (SA Compressor Hire Kawasaki ZX10), Naasief Wadhalla (Fastbike Kawasaki ZX6) and Christopher Kretzen (Kawasaki ZX10). Multiple former SA champion Dave Peterson rode the magnificent, one-of-a-kind Hailwood Honda and Peter Labaschauge took out Ian Groat’s Matchless. Added to the programme was a demonstration ride of 20 DJ Bikes in preparation for this year’s DJ Run. Some 20 of the machines used to race from Durban to Johannesburg in the 1920s and 30s. 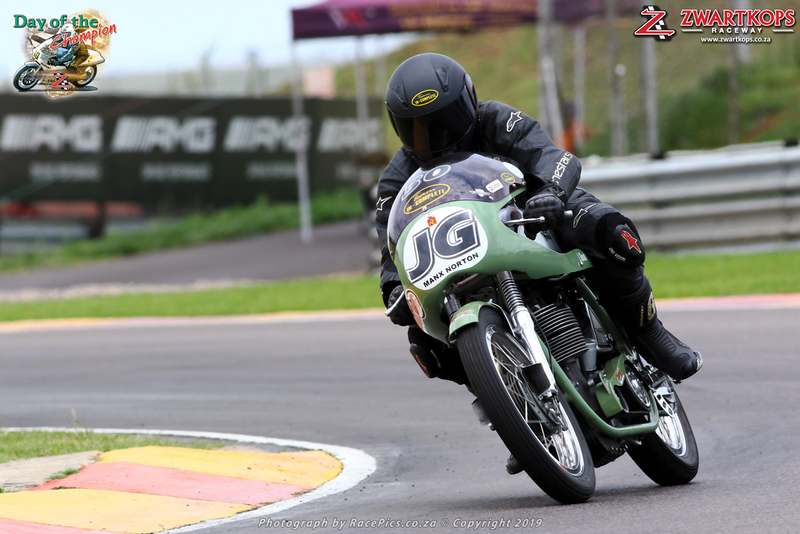 Another highlight was a surprise visit by Moto2 hero Brad Binder, who took time to wander through the pits, chatting to competitors and spectators. 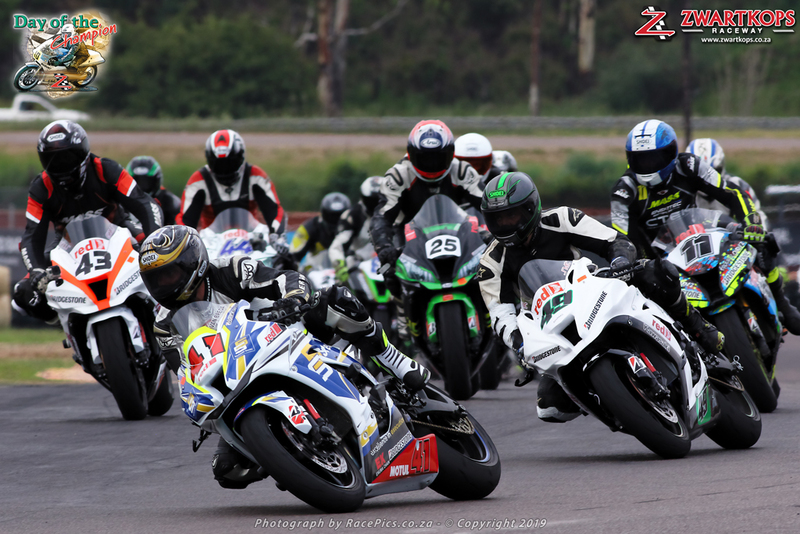 According to Zwartkops management, the 2020 Day of the Champions will take on a different format, integrating more with the motorcycle racing calendar.